Q. When did you begin sculpting? What led you to it? was converted to Christ, I attended a small church in Happy, Texas. wasnâ€™t to be, since my natural inclinations were still in art. in art back at Harding. result of working with my carpenter father when I was young. Q. Where and how did you train? Arkansas, then an MFA from the University of Mississippi. My D.A. Q. Where can your work be seen? A. 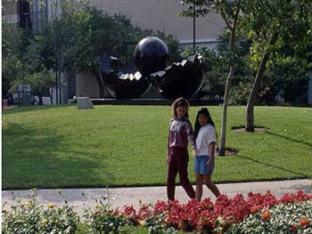 My sculpture is located in over 25 states, Canada and Mexico. Galveston, TX; Salt Lake City; West Palm Beach and San Francisco. 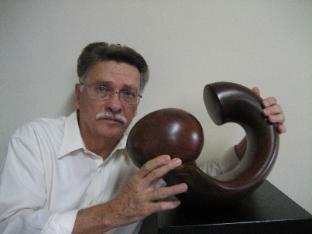 damage in Katrina, a carved walnut titled "Mother with Child."